He was told by the librarian to quit loitering around the nonfiction section, but you know how it is with some fellas: in one ear and out the other. I hear you. He was also seen in the home distillery section. The book lender is a(maize)d at this sight in the library. Ooooooh. Nothing corny about that ! A sure kernel of truth. Thanks Maxi. 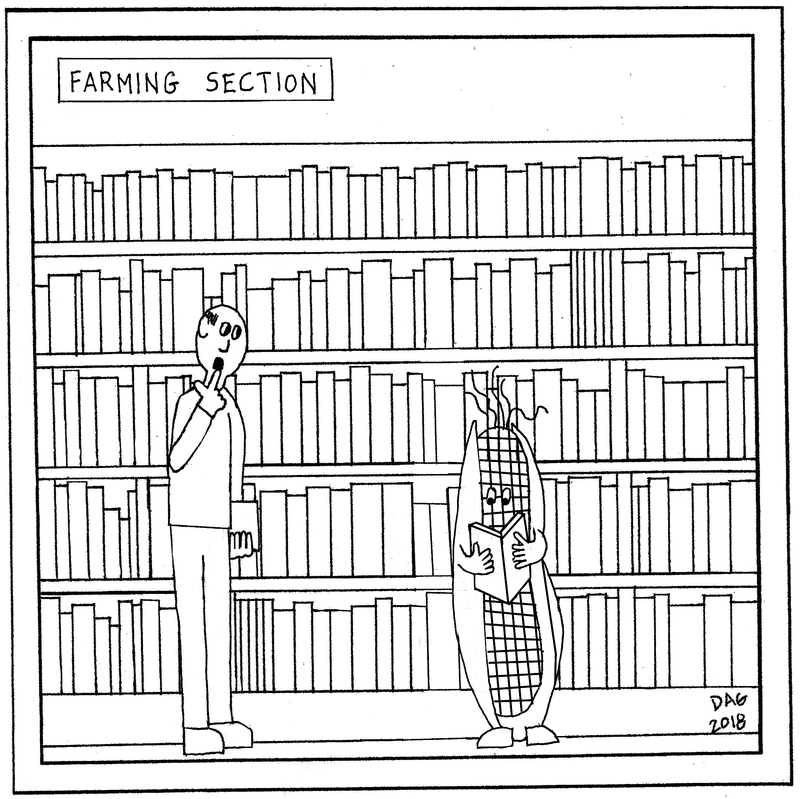 Both Maxi and Carl have gone straight to the kernel of the farming section in the bookstore to look up a maize of information on cornfed pigs to celebrate the Year of the Pig, according to the Chinese zodiac.